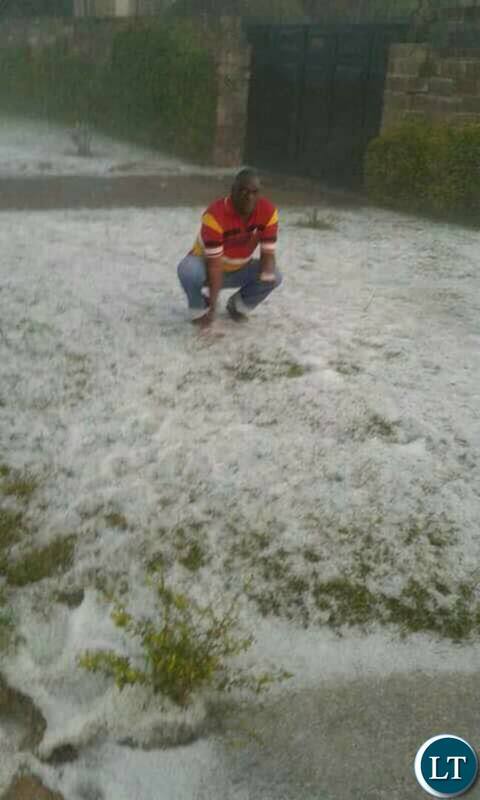 Images showing some excited residents of Lusaka posing in what appears to be piles of Snow have flooded several social media platforms. 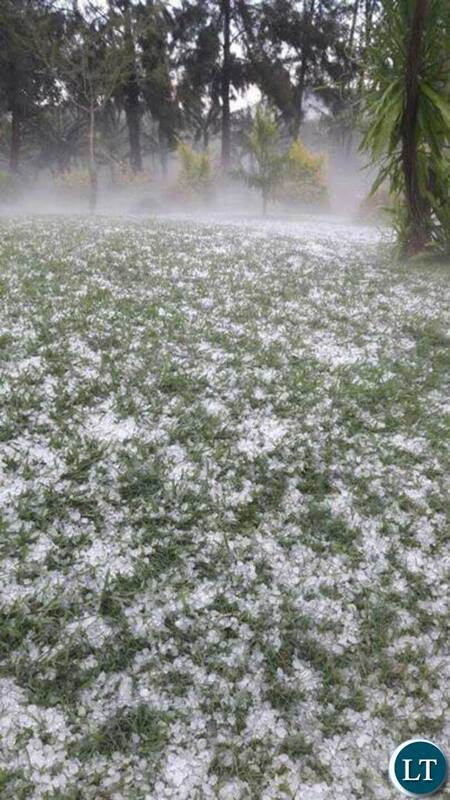 On Sunday evening, Lusaka and surrounding areas recorded heavy rains which turned a hailstorm, a rare occurrence in May. 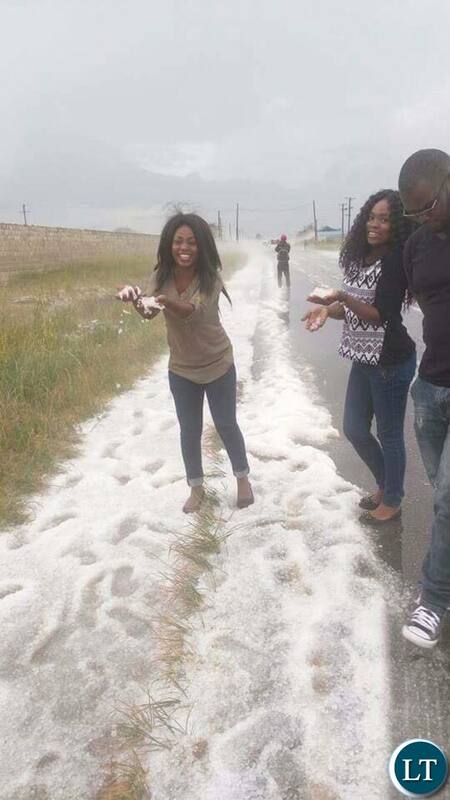 The hailstorm saw piles of hailstones forming in several parts of the city and covered some busy streets to the amusement of some residents. 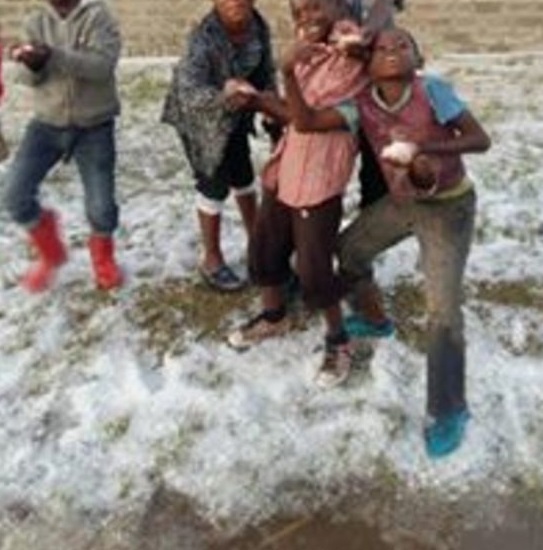 In some parts of Makeni area, residents from Children and elderly ones ran out in the chilly weather and posed for photos playing with the hailstones. 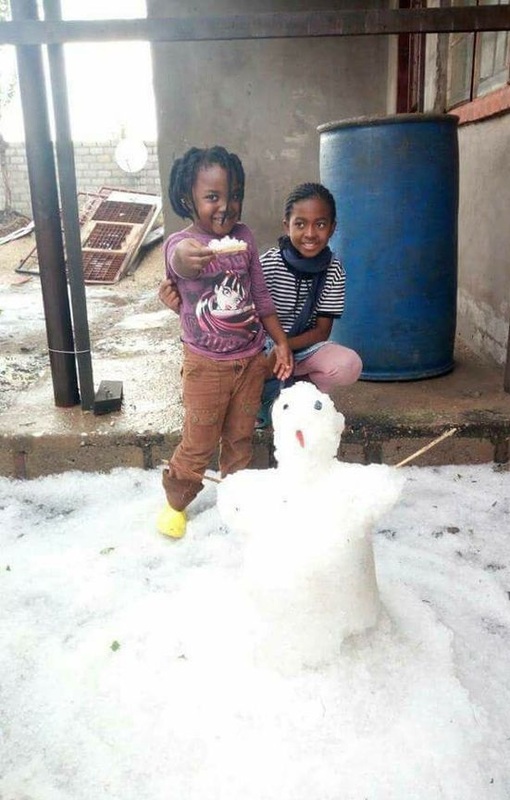 Others even started creating structures such as Snowman while others boasted that Lusaka has now started experiencing snow just like other cities in Europe and the Americas. 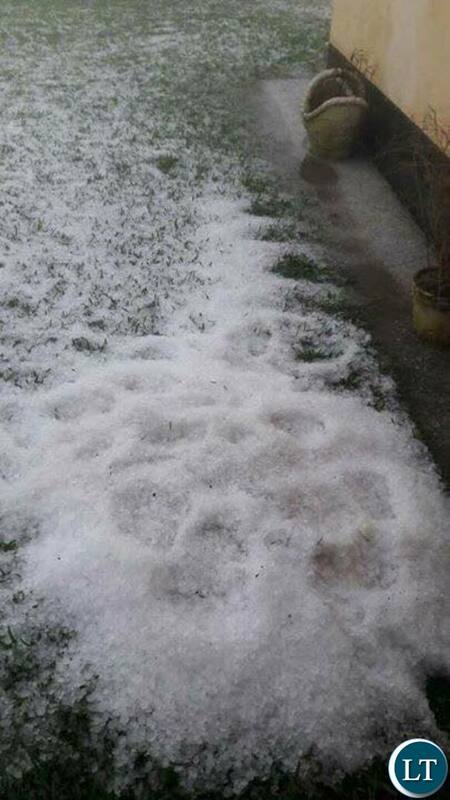 The hailstorm has now brought it with it low temperatures averaging 12 degrees Celsius from Monday. 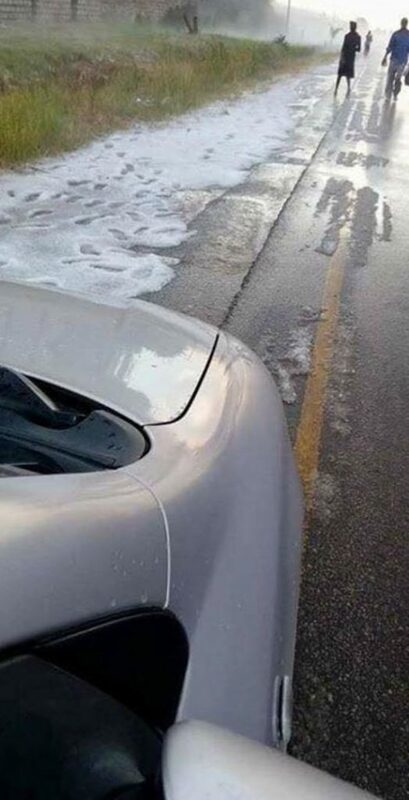 The Zambian Meteorological Department last month warned that the coming Winter season will be one of the coldest ever recorded. Department acting director Joseph Kanyanga said Zambians should brace themselves for severe winter in this year’s cold season which will be characterised by heavy rains. Professor Kanyanga said in a statement that heavy rains will characterise the transition from the rainy season to winter and has advised farmers to delay harvesting their produce. “During the transition period – April and May – sporadic shower occurrences are common. However, for this particular transition period, the rains are expected to be heavier and the temperatures much lower due to the very wet 2016/2017 rainy season that has deposited excess moisture over the country due to the La Nina conditions,” he said.